Location excellent, staff very efficient and helpful, value for money superb, free car parking a bonus! 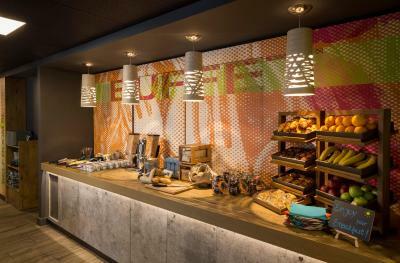 Very comfortable beds, plenty hot water and plenty of food at breakfast. One of our bestsellers in Glasgow! 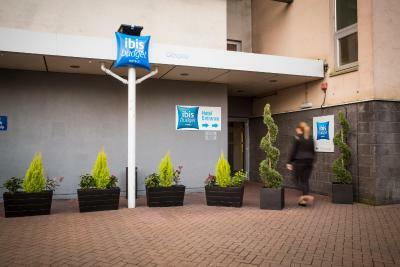 In Springfield Quay, the ibis budget Glasgow is 10 minutes’ walk from the centre of Glasgow. 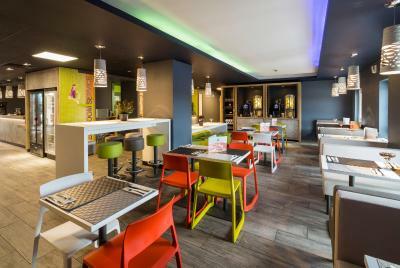 It is surrounded by restaurants and leisure facilities, including a 12-screen cinema, bowling and a casino. 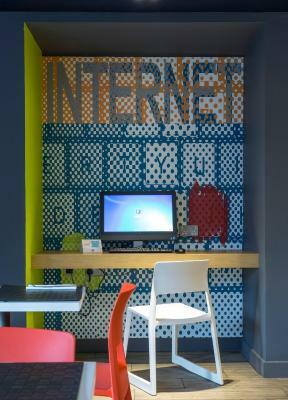 WiFi is available in all areas free of charge. 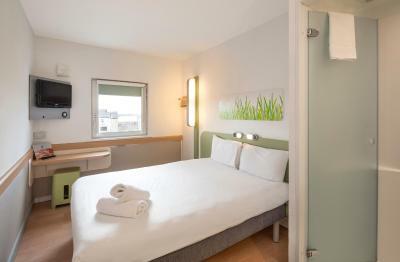 The ibis budget Glasgow offers modern rooms with a simple décor and an en-suite shower room. Many rooms overlook the River Clyde and all rooms have a desk and a flat-screen TV with 130 Freeview channels. 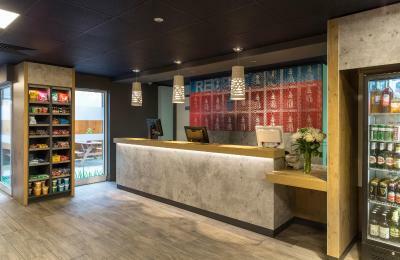 Reception is open 24 hours a day, and the hotel offers free indoor and outdoor car parking. 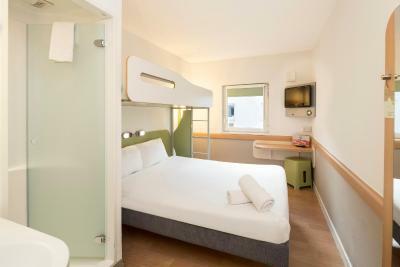 Glasgow Central Rail Station is just a mile away and the M8 motorway is 2 minutes’ drive from the hotel. The SECC (Scottish Exhibition and Conference Centre) is a 10-minute drive away and the Glasgow City Concert Hall and St Andrews Cathedral are less than 2 miles away. 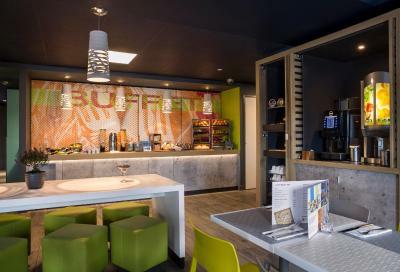 ibis budget Glasgow has been welcoming Booking.com guests since 16 Sept 2010. 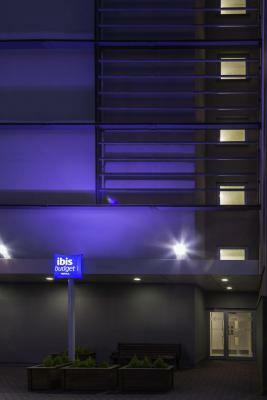 When would you like to stay at ibis budget Glasgow? 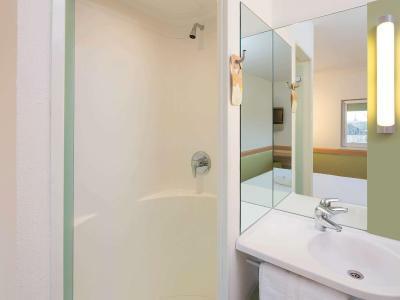 Features include a flat-screen TV with over 130 channels, and air conditioning. 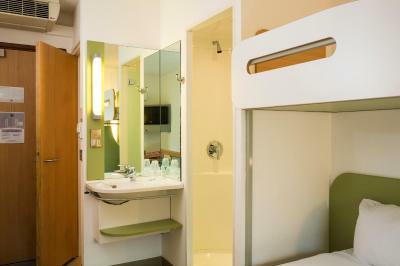 It also offers an en suite shower room. Please request either double or twin in the Special Requests box when booking. 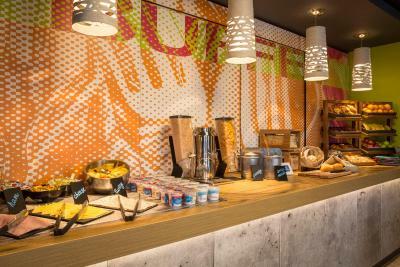 House rules ibis budget Glasgow takes special requests - add in the next step! 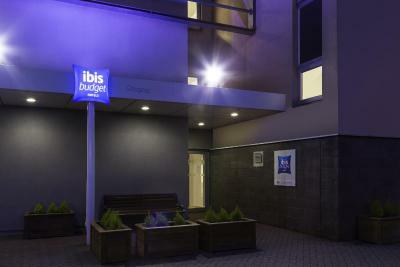 ibis budget Glasgow accepts these cards and reserves the right to temporarily hold an amount prior to arrival. 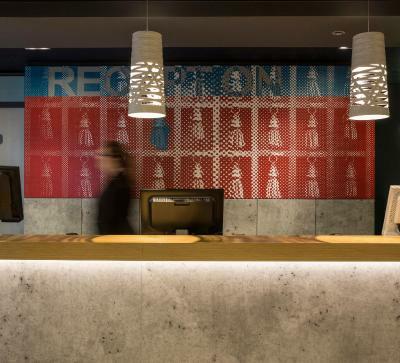 When paying cash guests will be asked to provide proof of ID as a guarantee (valid passport or driving licence are accepted). Minors under 18 must be accompanied by parents or legal representatives. Third person named by parents must present their written authorisation (certified signature). Please note that third party credit card payments require a third party form to be filled in prior to arrival. This form will be sent to the guests after booking. Very noisy, walls paper thin and no attempt to control the noise. Even with people shouting at 2.10 am. The bed and it wasn’t really clean. It wasn’t expensive but okay for one night. No tea/coffee facility’s in rooms. 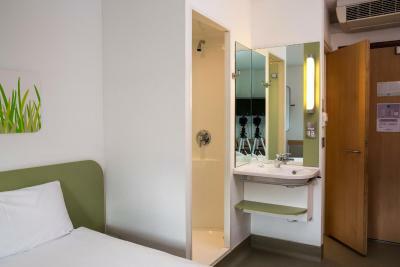 Clean rooms,bright and friendly staff. Coffee and tea facility in the room would be nice.